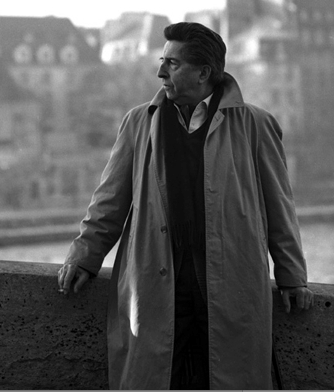 Henri Dutilleux (1916 - 2013) is a composer I have only recently begun to listen to. I am just finishing listening to the seven CDs contained in a new box of his music titled The Centenary Edition as the centenary of his birth is next year. Dutilleux was hardly a prolific composer: these seven discs contain nearly all the music he approved for publication. His output boils down to one piano sonata, two symphonies, a ballet, a very few other orchestral works, a cello concerto, a violin concerto, a few songs, a string quartet and a few other pieces of chamber music. 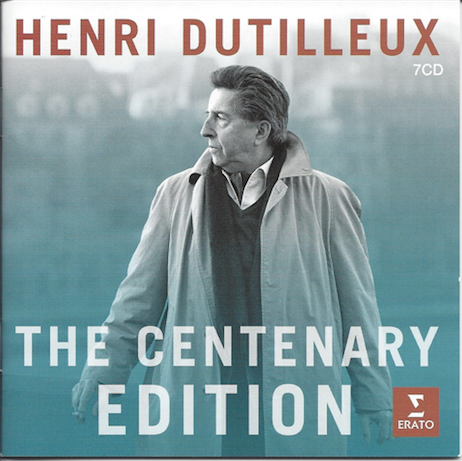 Here is the interesting paradox of the music of Dutilleux: it is, if you are familiar with 20th century music, immediately captivating. It is aesthetically powerful, very well composed and full of character and color. But not well known! I suspect that a lot of the reasons have to do with ideology. Falling between Messiaen and Boulez in age, Dutilleux simply did not fit into the available niches. He was not an enfant terrible like Boulez, nor a trickster like Cage, nor did he have a dramatic narrative like Messiaen and certainly was not a technical innovator like Stockhausen. He just wrote good music. That particularly endears him to me! This is very French music in its sense of melody, its colors and its harmonies. Also, very beautiful music! I am going to put up a few posts on Dutilleux. In the meantime, you should listen to L'Arbe des songes a few times and perhaps some of his other music: the piano sonata, the two symphonies and the symphonic fragments of Le Loup his ballet. While very listenable the first time, the music undeniably grows in interest on repeated listening. Once again I'd like to thank you Bryan for introducing me to lovely new music. Was the encore that Renaud Capucon played also by Dutilleux? By the way Renaud Capucon is the older brother of the cellist, Gautier Capucon, you may have noticed in the video I posted of Camille Bertholet playing Vivaldi. You're very welcome! I wonder if it is by Gluck. Could it be an arrangement of his Dance of the Blessed Spirits? No, I just checked and that's not it. It is very familiar, but I can't quite put my finger on it! Perhaps our learnéd commentariat could tell us? Turns out it is the Dance of the Blessed Spirits by Gluck--it just sounds different in this arrangement. I know very little about HD but did recall, reading here, that earlier in the year there had been a nonsense PC controversy in Paris due to HD's alleged 'complicity' with the Vichy regime (he wrote the soundtrack for a propaganda film, evidently). You meant ('ideological reasons') the modernists' not liking his composing heterodoxy, I'm guessing. I was wondering where you'd disappeared to Marc. Last I heard you were thinking of buying a pumpkin or a squash or something of the sort. Thanks for the link to the LeMonde article. Bryan I tried to use Sound Hound to identify the piece but of course it didn't work. How did you figure out what it was? Easy, I just asked my violinist friend. Thanks Marc for that link. I wasn't aware that there was any controversy regarding Dutilleux. What I was thinking of was, of course, his compositional heterodoxy. Long time reader here.I really appreciate the Composer-Survey posts you write wherein you assess a musician,his style,his techniques,his place among peers and his role in history. I've listened to Dutilleux Cello concerto and liked it immensely.Looking forward to the series. Is Composing Just a Job? Songs from the Poets: "Nuits de Juin"